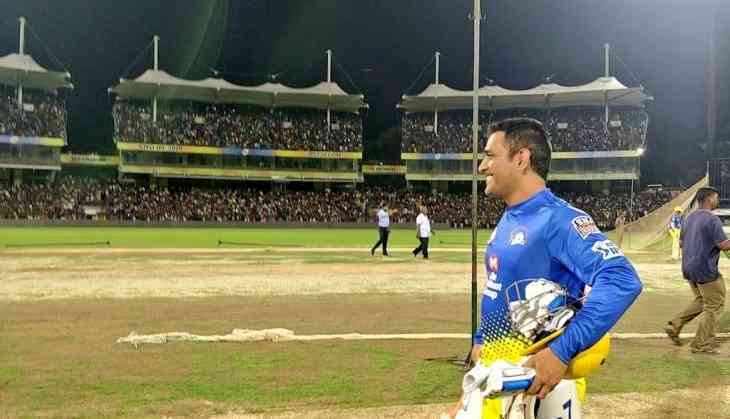 The undisputed King of Chennai, Mahendra Singh Dhoni received a rockstar entry at Chepauk stadium during a practice match. Dhoni was welcomed by a full-stadium with chants of ‘Dhoni-Dhoni’. Even the former Indian captain had a look around the stadium and seemed a bit surprised by the sheer number of people who came to witness an intra-squad practice match. Former cricketers, journalists and fans on Twitter were left astounded by the hero's welcome given to Dhoni. Ex-stars like Albie Morkel and Scott Styris tweeted their disbelief. Chennai Super Kings are the three times champions of the richest T20 tournament in the world - Indian Premier League. The team boasts of many star players including Suresh Raina, Shane Watson and Harbhajan Singh. Veteran Indian cricketer MS Dhoni is the captain of the team and have won as many as five titles for them. Chennai Super Kings will look to retain the trophy this year as well. They are the only team to have done it in 2011 after winning the trophy in 2010. The core members of the team will remain same as 2018. With few minor changes they will go into the IPL as favorites.